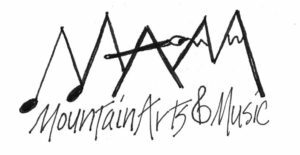 (1) Mountain Arts and Music, a nonprofit in Ogden Valley that is Supporting the Creative Arts in Ogden Valley will be providing Acoustic music during the morning launch and the breakfast on Friday, Saturday and Sunday of the Ogden Valley Balloon and Art Festival. On Saturday from 9 to 3 they will host a art station, which will have supplies and instructors for kids art and art projects and adult art. Stop by at the Art Station and let your creative juices flow!